This article explains how to use the Exchange admin center to convert an Office 365 user mailbox to a shared mailbox. You can also convert one mailbox type to another, but you'll have to perform these tasks using Exchange PowerShell. 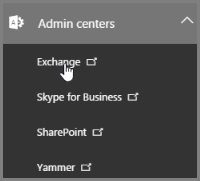 In the lower-left navigation pane, expand Admin centers and select Exchange. In the Exchange admin center dashboard, navigate to Recipients > Mailboxes. Select the mailbox you want to convert, and on the user properties page on the right, click Convert. When you see the Warning on whether you're sure you want to convert, click Yes to continue. Close the wizard once your shared mailbox has been successfully created. Confirm the user was setup successfully as a Shared Mailbox by going into Groups > Shared Mailboxes in your Office 365 Admin Center. Remove the Office 365 license. 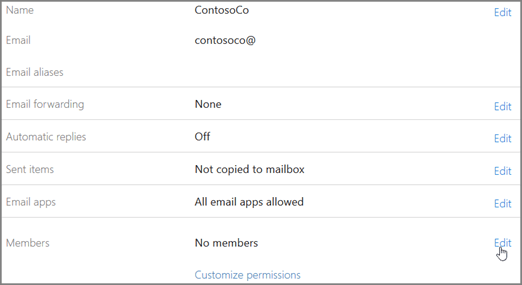 A shared mailbox doesn't need a license, but members of the shared mailbox need to have an Office 365 license. Check out Assign or remove licenses for Office 365 for business for details on removing a license. Add members to the shared mailbox so they can start using it. Select the shared mailbox and click or tap Edit to add members.